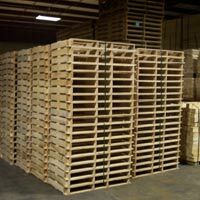 At Ongna Wood Products, we strive to provide the best service in the wood packaging industry. We have a variety of services that can help your company get your product out the door faster. We have been recognized by our customers for our excellent service and timely delivery. We will work with you to develop custom wooden packaging to keep your product(s) safe during transportation. Being a fourth generation company, you can rest assured that we have extensive knowledge in the packaging industry. We will work at your facility or we can custom design a package for you in our lab at our Sheboygan Falls facility. Our reputation precedes us. Customers appreciate that we deliver our product on time. 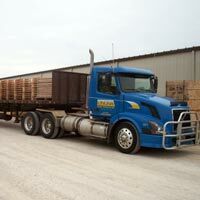 Our fleet of trucks ensures that our product gets to your customers on the day it was scheduled. We have a wide variety of equipment including semis, van trailers, flatbed trailers, short trucks, pickups and others, all maintained by our own maintenance department. 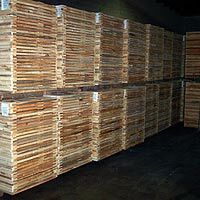 Ongna Wood Products has been a certified and licensed producer of export packaging since 2002. Along with building export crating, we can also pick up your products and heat treat them so they are ISPM 15 compliant.